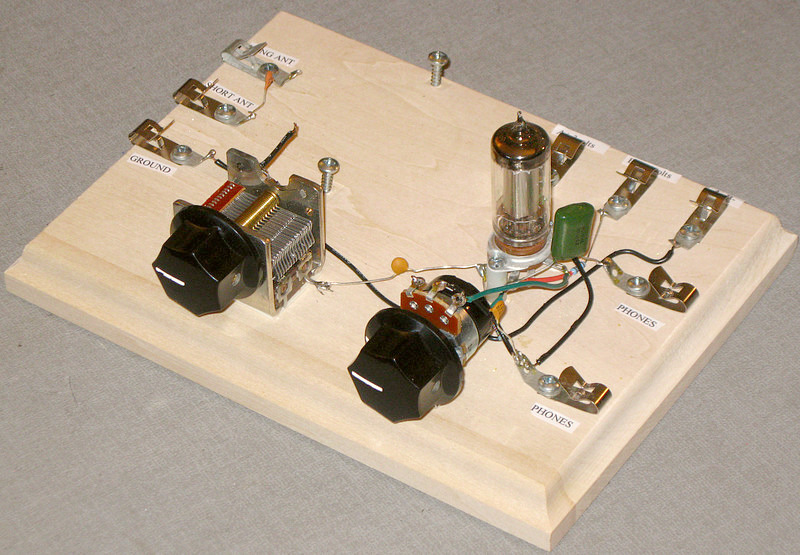 This is an assembled regenerative AM broadcast band receiver kit, developed and sold by Lance Borden. 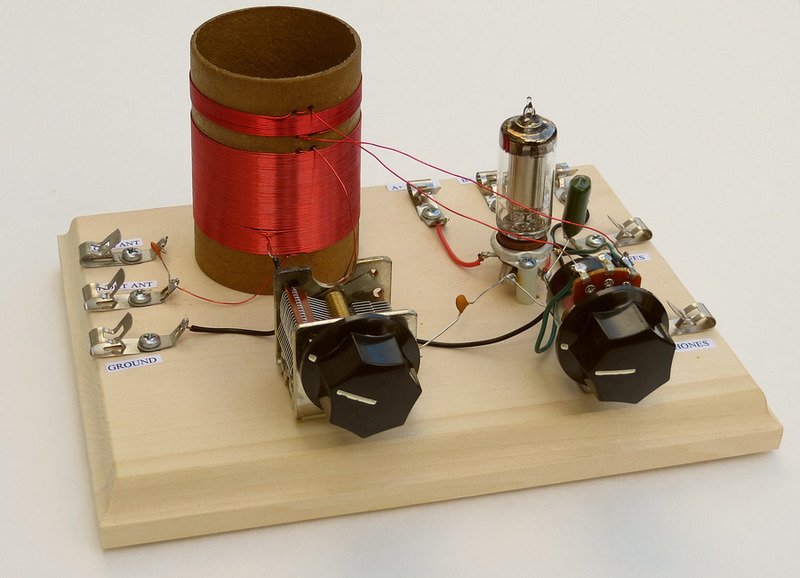 It uses a 3S4 vacuum tube and requires a long wire antenna and ground connection to operate. 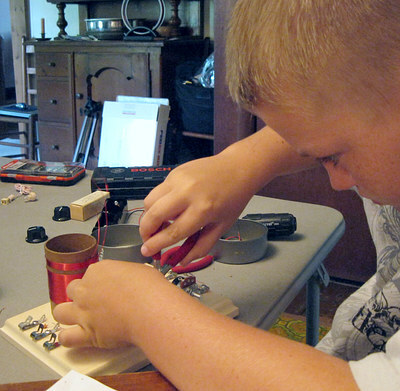 Matt Knoebel assembling the radio in August of 2012. Parts are mounted, now about to wire up the set. 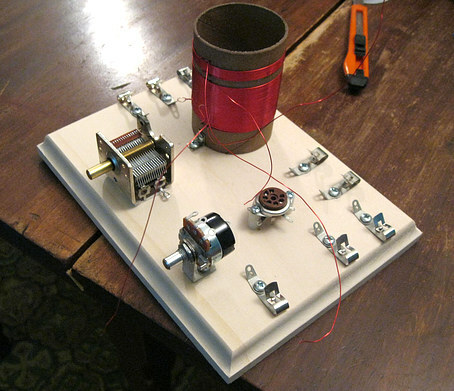 Construction took about 4 hours, including winding the coil. This was Matt's first radio. 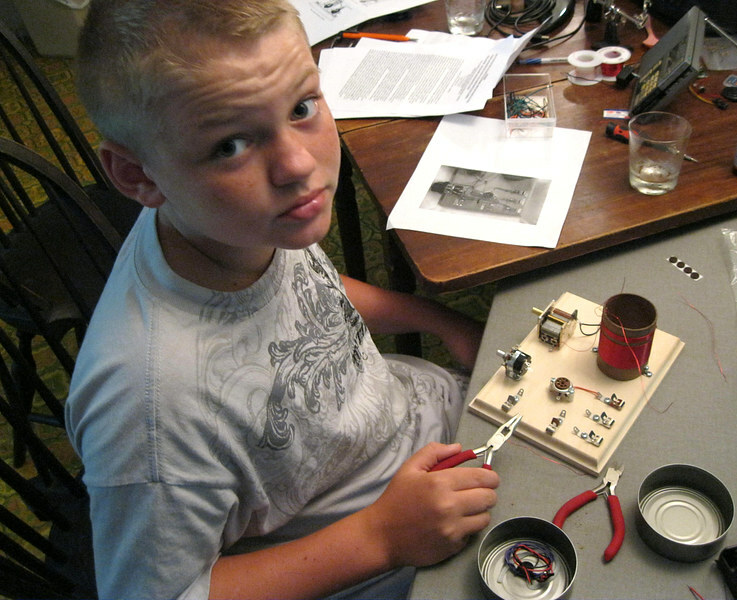 He got no help from yours truly, other than some assistance interpreting the wiring diagram and to supply him with a pair of high impedance headphones. 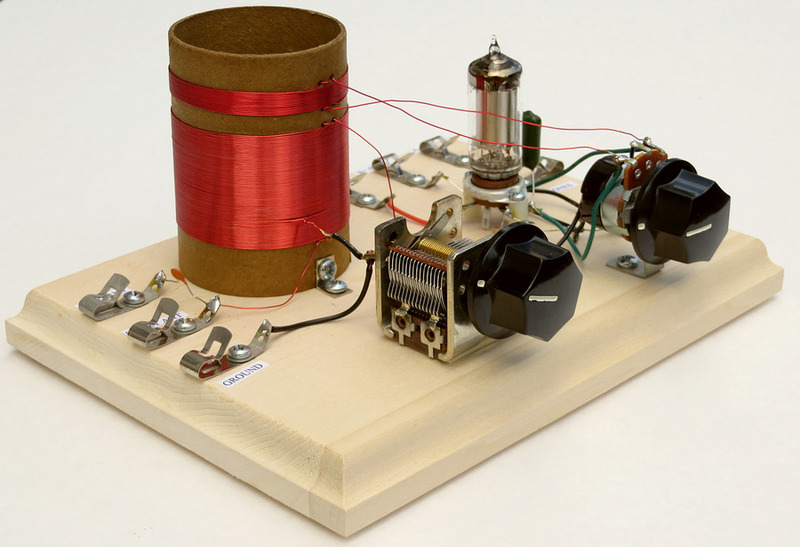 The radio worked the first time it was turned on. Local stations are easy to tune and come in loudly. Listening at night, if you disconnect the ground wire you can pick up some distant stations. With your headphones on and your hands on the controls, you give just the slightest touch to tune in some far off signal. The room should be quiet, it's not something you do with the TV on or during a party! The radio under de-construction. The coil has been removed! In spite of the set working so well, in the above photo the coil has been removed and is about to be rewound. Why? Read the review of this set on the next page.